Happy Saturday, everyone! 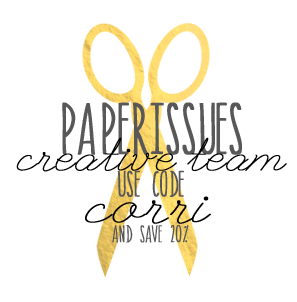 It's time for Die Cutting Saturday over at Paper Issues! Jennifer Chapin designed this fun, FREE ABC Cut File. You can download it from the Paper Issues shop. I scaled the file down on my a layout...I cut it at about 9"w.
I used paper from the Webster's Pages - Hall Pass Collection. I love the sweet border on this pattern paper. You can find this collection in the Paper Issues Shop here. Use the code CORRI to save 20%. We would love to see what you do with this file. Link up your project for a chance to win!